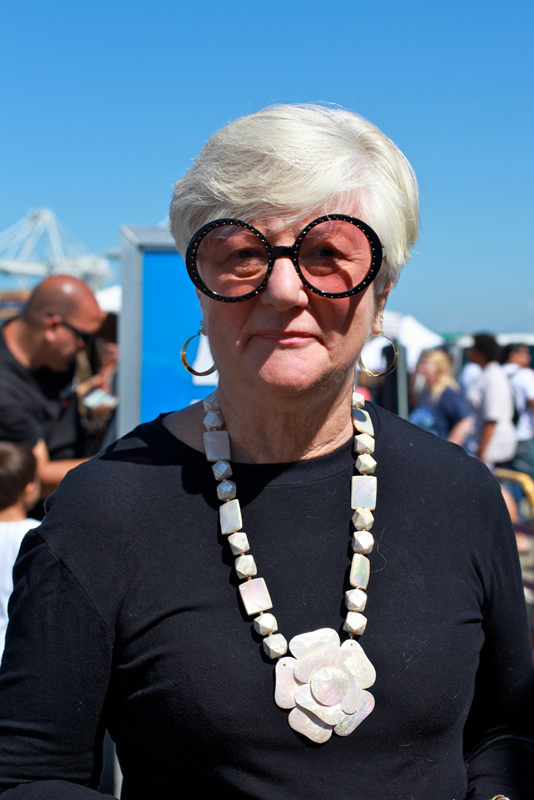 Suzanna was voted one of the 7 most stylish by 7x7, and one of two in the Classics category. 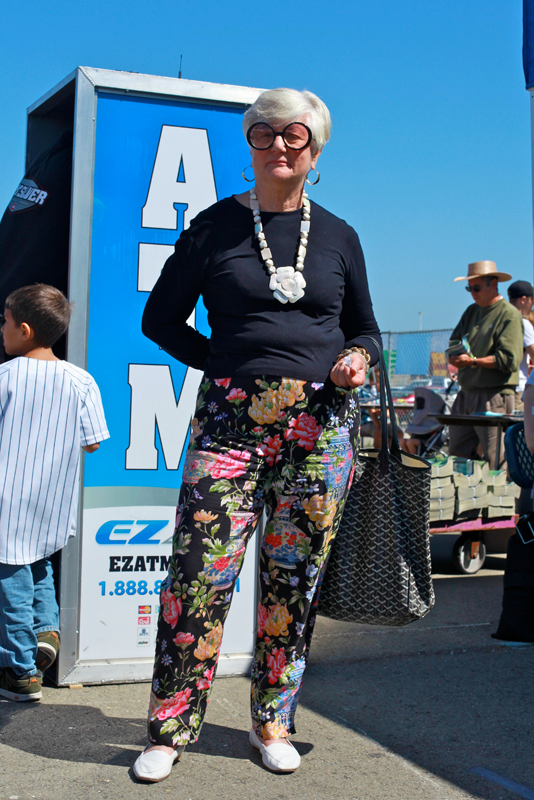 Love her floral pants and her accessories, those sunglasses and that necklace are envy worthy. 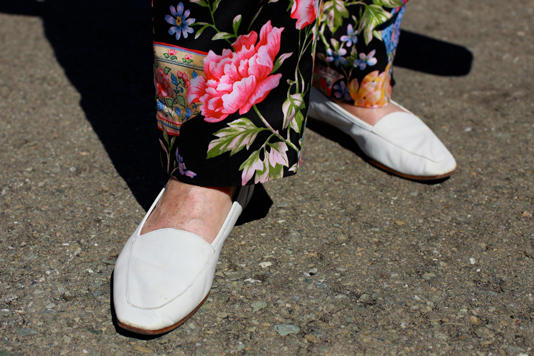 Sensible shoes for walking around the Alameda Flea Market.